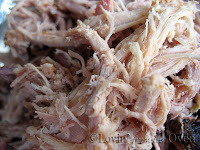 Frieda Loves Bread: Smoked Pulled Pork & A Kitchen Tip! 4 Smoked Pulled Pork & A Kitchen Tip! Love pulled pork? How about smoked pulled pork? 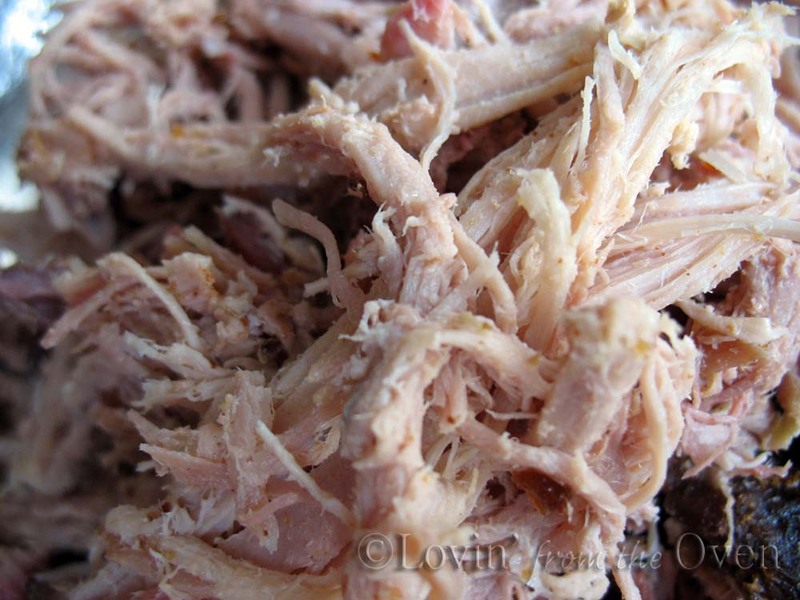 You don't have to have a smoker to enjoy pulled pork. Do you have a BBQ? Does it have at least two burners? How about a thermometer? Then by all means, you can enjoy smoked pulled pork without a smoker! The BEST dry rub for pork or brisket is HERE. It will make enough for (2) four pound pork shoulders (or pork butts). Turn on one burner of your BBQ. Get it nice and hot. Place a disposable foil pan on the UNlit burner. 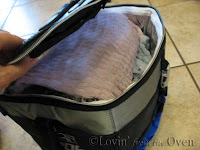 This will catch the drips from the pork during smoking. Prepare a 'smoke' packet. 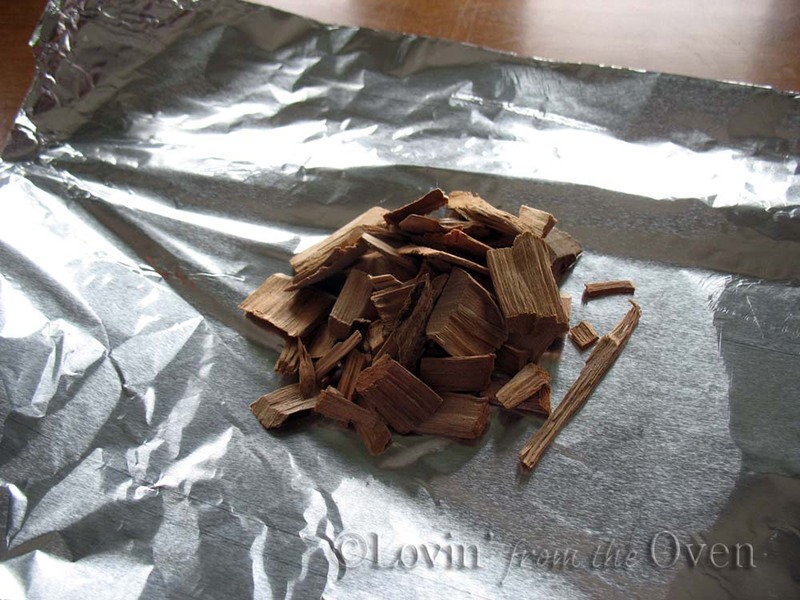 Take a handful of wood chips that have been soaking in water for 30 minutes and place them in the middle of a sheet of aluminum foil. Apple, Cherry, Maple or Pecan wood chips are great for pork. Experiment and see which you prefer. I used Cherry. Hickory and Mesquite are stronger flavored woods are work best with beef. 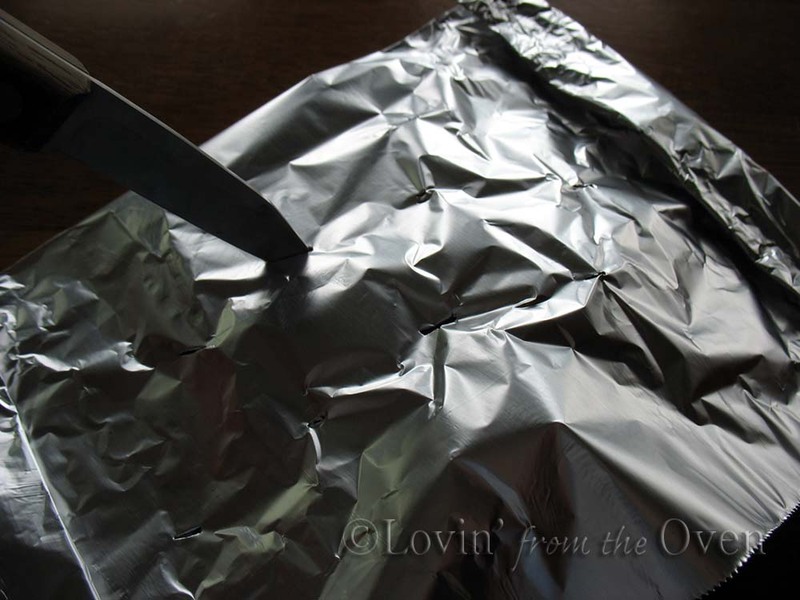 Fold up the foil packet, sealing the edges. Poke several holes in the top of the foil packet. Turn the LIT burner on to LOW. When the temperature reaches 160ºF., place the prepared pork shoulder on the UNLIT side of the BBQ, over the aluminum drip pan. If your BBQ temperature begins to drop below 160ºF., turn up the lit burner until it is able to hold a steady 160ºF. Keep this temperature for at least 2-3 hours. The smoke is absorbed into the meat during this time. 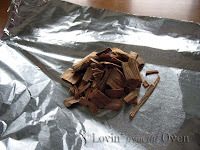 There is no need to add any additional wood chips to continue the smoking. After 3 hours, crank up the LIT burner temperature to 250ºF. for the next 8-10 hours. During this period, the pork is being indirectly baked, not smoked. Or.... you can bring in the pork and cook it in your oven at 250ºF., until done. If your oven has a meat probe, even better! When the internal temperature of the meat registers 185ºF, check every hour or so until the pork registers an internal target temperature of 195ºF. This pork was ready after 12 hours and the party was not until two hours later....no problem! 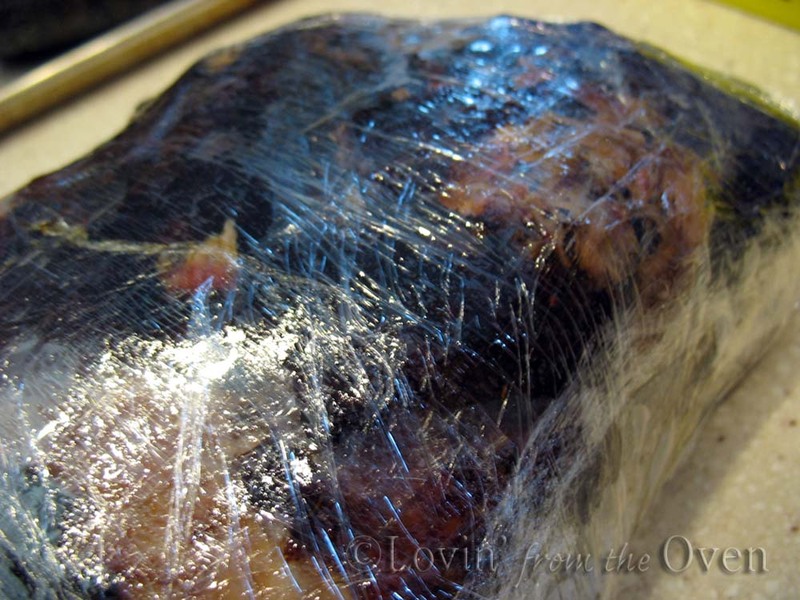 Wrap the whole pork shoulder in plastic wrap. I wrap it length wise, then again cross-wise. Don't worry, the plastic won't melt! 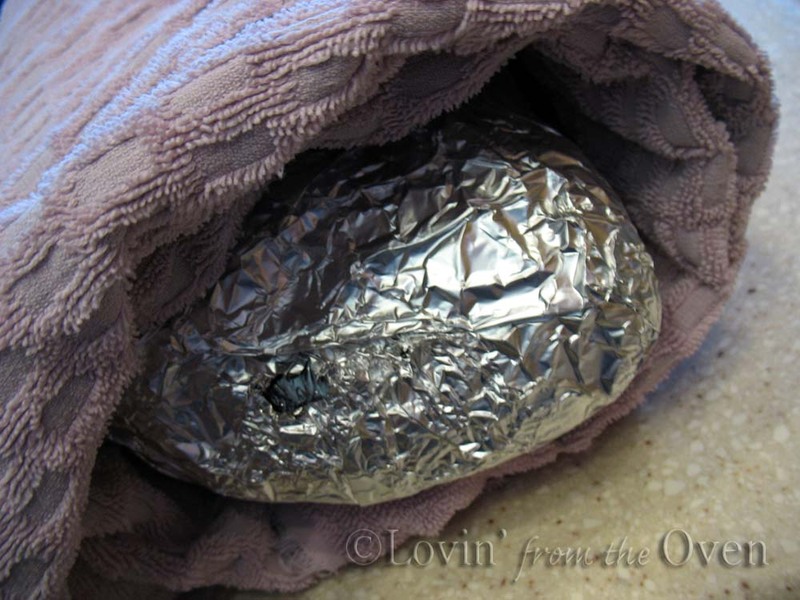 Wrap the pork in some heavy duty aluminum foil, sealing it well. Shred the pork when you are ready to serve. It's really great with your favorite BBQ sauce and a homemade bun. I have a smoker and love smoking meat. I love the idea of using the grill! 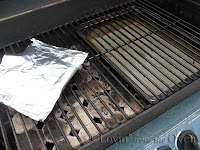 Does the wood packet lay directly on the lit burner or the on the grate? Tim, I would put the packet as close to the burner as possible, but not directly on the burner. If you look closely at the pic in my post, I have ceramic 'briquets' over the burner and should have placed it on top of the briquets, instead of the grate. Placing the foil packet directly on the burner would block the some of the vents, not allowing the heat to circulate throughout the grill. Thanks for an excellent question! Tim, I re-read the post and made the correction. Thanks! Again I've learned something I have been wondering about. Thanks Frieda!